ST. LOUIS — Republican Gov. 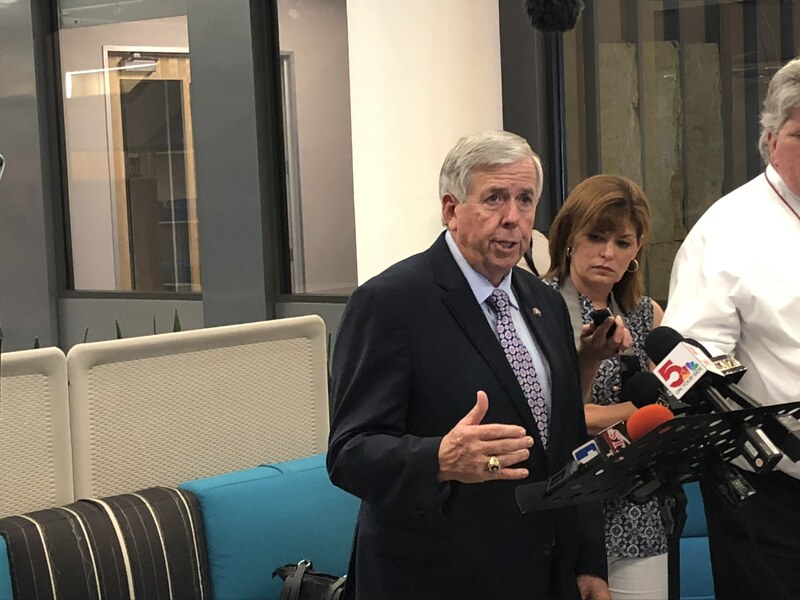 Mike Parson traveled to St. Louis Wednesday to conclude his listening tour across the Show-Me State. Parson, speaking with city and county officials, local leaders and area business owners at the Cortex Innovation Hub in St. Louis’ startup district, said the tour gave him a chance to hear directly from the people he represents and discuss the different challenges facing the region. He added that his stop in the Gateway City would be the first of more meetings here to come. Fielding a handful of questions after his listening session, Missouri’s top executive leader outlined his vision as he and his administration focus to improve the state’s infrastructure. Parson also addressed questions relating to crime, which has seen a huge spike in the region in recent years. Specifically, Parson was asked if the cameras used to stop crime which MODoT forced the city of St. Louis to take down earlier this year would be put back up in the future. Parson said he intends to meet with MODoT on the matter at a later date and would continue discussing the matter of crime as a whole in St. Louis with his general counsel. “I’ve been a huge supporter of law enforcement and we need to be taking a serious look at that,” Parson said. Just days after his Board of Education appointments, Parson addressed questions on the importance of getting people in those positions. The board had been reduced to three sitting members after the Senate refused to move forward any of former Gov. Eric Greitens’ picks. Parson on Tuesday morning announced that he had appointed Carol Hallquist and Peter Herschend to the board, bring the number of board members to five, the number required for a quorum. Parson said he was unsure whether his two appointees would would be confirmed during a veto session or have to wait until next session. As for the person who will take over his old position as Lt. Governor, Parson said he’s still looking over the options. In just his second week in office, Parson made nine stops in two days beginning with visits to Springfield, Branson, Carthage, St. Joseph, and Kansas City on Tuesday. He continued his tour in Columbia Wednesday morning before wrapping up the trip with stops in Cape Girardeau, Sikeston and finally St. Louis.